In the last few years, LED lights have developed substantially, becoming the preferred solution for various applications. Not so long ago, in addition to being considered expensive, LED lighting was also avoided due to inadequate illumination. These issues have been resolved and consumers can now choose from a wide array of LED lights for both commercial and residential use. For many years, home owners have understood the costs of using electricity to heat or cool a home and they are now beginning the realize the power saving capability of using LED lighting. The categorization of LED bulbs is typically done according to their specific features and their suitability for the intended use. 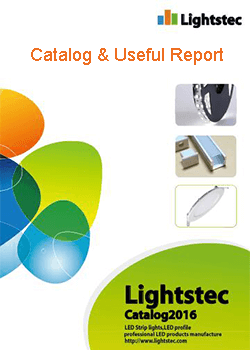 This article lists some of the most commonly used types of LED lights. These LED bulbs have similarities with fluorescent lights which give a somewhat sharper illumination. Cool white lighting is great for retail and commercial spaces which need brightness for the purposes of safety and functionality. This type of bulbs emits light similar to halogen lights. With their instant, warm brightness they allow you to create a comfortable atmosphere in every room in your house. Warm LED lights are ideal for people who dislike the sharp illumination of most LED lights. Daylight LED bulbs provide light similar to natural daylight with a hint of blue. 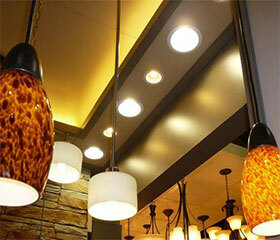 Their warm glow brings colors to life and enhances the interior in your home. Adding a dimmer switch to your LED lights will allow you to adjust the lighting in order to achieve the desired mood in certain areas in your home. However, dimmer switches for incandescent lights aren’t compatible with LEDs, which means that if you choose to change the lights, you’ll need to change the dimmer switches as well. Smart LED lights allow you to manage and control lighting in your home via a mobile device (such as your smartphone). By controlling the lights in your home remotely, you can customize the light depending on weather conditions or the time of the day. You can also switch the lights off to save energy or switch them on for safety reasons when you’re traveling. Color temperature is what makes light feel cool or warm. Higher color temperature produces cooler light, whereas lower color temperature emits warmer and more relaxing light. When choosing the best color temperature for your home, there are no rules. It all comes down to personal preference and intended use. If you are unsure what the LED light will be like, try visiting a local importers showroom and then source the item online here in China. Those who like more conventional yellowish color should choose the most popular option for homes - warm white LED bulbs (between 2,700 and 3,000K). Those who want a clean, more modern feeling should opt for brighter, cool white LED bulbs (above 4,000K). When it comes to choosing the best-LED lights for commercial applications, consider the mood you’re trying to create, as well as the products you’re selling. For instance, cookies and bread fresh out of the oven look better under warm white LED light. Shoes, on the other hand, may look better under daylight LED bulbs. We recommend doing a few trials before making the final decision. You can also try mixing and matching different types of LED bulbs in certain settings. For instance, cool white in work areas and warm white in the living room. In many ways, LED lighting is much better than traditional lighting since they are low-maintenance, cost effective and great for the environment which is why they are often use in conjunction with solar panels. 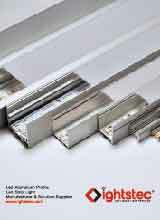 The continuous innovations are only going to make LED more affordable and versatile. Advanced technology and exciting design features will make LED the illumination of choice for offices, homes, industrial & commercial facilities.